I’m not going to lie, I love shopping. I mean, who doesn’t, right? Especially now that shopping is made easier. People can already shop at the comfort of their home anytime and anywhere using a laptop/desktop computer, tablet or phone with internet. Ahhh, the convenience online shopping brings. But apart from convenience, do you know that you can also earn money from shopping online? Yes, my dear reader, you read that right! Let me show you how in the next few paragraphs. So just to give you brief information, ShopBack helps us, customers, to get the best deals and discounts from over 300 stores. That doesn’t end there though, because they have a Cashback feature! 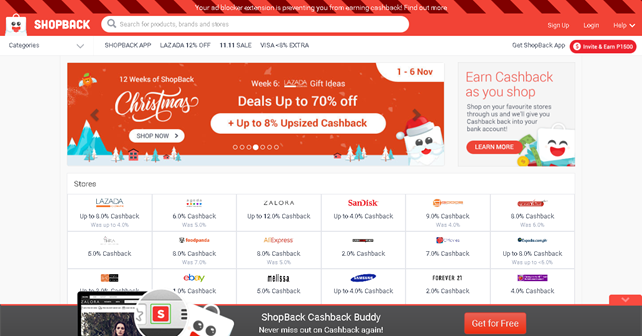 “Cashback”, meaning you get your cash back whenever you shop online via ShopBack. So technically, the more you shop, the more you earn cashback. 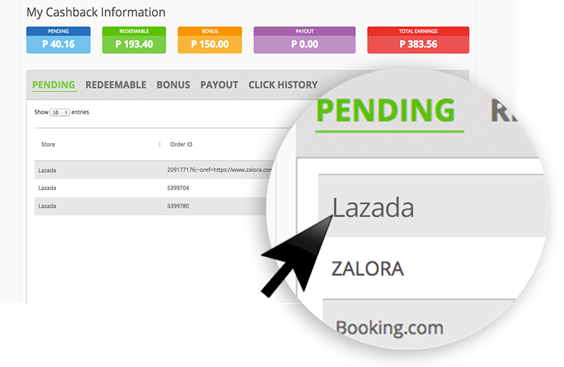 But, you can only request for payout once you reach the minimum payout amount which is P300. This can be released to your PayPal or bank account. ShopBack has already established themselves in Singapore and Malaysia, but now, they’re finally here in the Philippines! Yay to savings! Okay so now, let’s get to the good stuff! 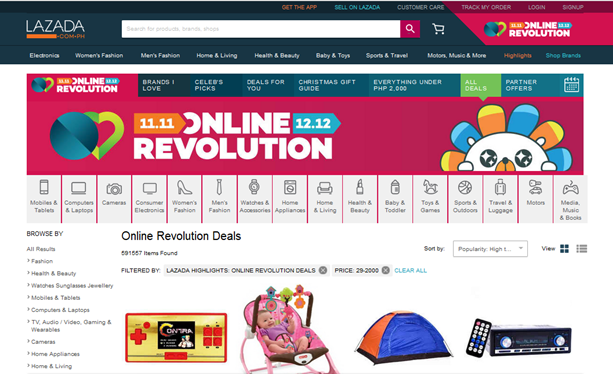 There are three ways to shop online and earn money via ShopBack – 1) Straight to their website; 2) Via their browser extension here (Available for Google Chrome and Safari—desktop and laptops only); and (3) Through the mobile apps downloadable here (Available for Android on Google Store and iOS at the App Store). Now, you can choose to avail the good deals (discounts, etc.) or the cashback, or both—it’s completely your choice. 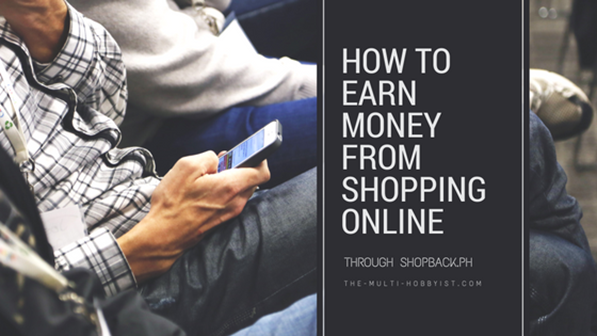 But for this post, I’m sharing you how to earn money by shopping online in 10 easy steps via ShopBack’s website. It’s going to be quite a long post, but good things are worth the wait, right? So let’s get to the good stuff! Step 1: Go to ShopBack’s website at www.shopback.ph and sign up for an account. It’s free! Step 2: Once you have an account and successfully logged in, choose the store you want to shop in from the home page. Click on the store/merchant of your choice. 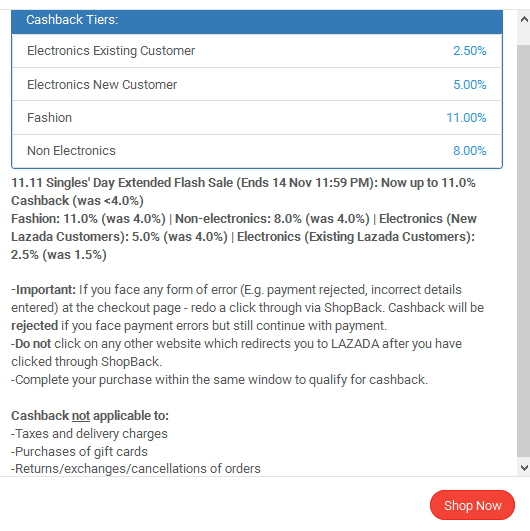 I choose Lazada because of their wide array of products to choose from, plus they have up to 11% of Cashback for Fashion items! Super great deal, especially now that the holiday season is fast approaching. Other sites to check too are Althea with up to 11% of cashback as well, and Tackatack with 6%. Or choose from the list of current deals at the lower part of the page. It looks something like this but trusts me, they have more deals! Go check out https://www.shopback.ph/lazada to see for yourself. Step 4: Either way, you will be redirected to a new tab. Make sure to not close it, as that is where you’d shop and start earning cashback. It will take some time to load, depending on your browser, computer and internet connection. Step 5: Shop and pay like you normally do – just don’t close the tab opened by ShopBack. Step 6: And then, once payment is confirmed, go back to your ShopBack to check your account. Within 48 hours, your cashback will reflect in the Pending tab found here. Step 7: Once your order is validated by the merchant, your cashback will change from Pending to Redeemable. It will usually take 30-60 days as the merchant needs to ensure that the order is not canceled, returned or exchanged. 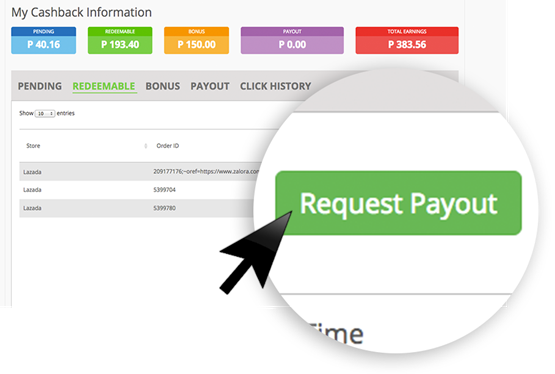 Step 8: As mentioned, the payout can be requested when you reach the minimum payout amount of Php 300. If you haven’t reached it yet, don’t worry – you can shop more to earn cash back that will help you reach the minimum payout required. And you can also redeem your Bonus once you hit the minimum payout too. Step 9: Your Cashback can be cashed out to the following banks here in the Philippines. Step 10: Claim your cashback from your chosen bank and voila! You just earned money from shopping online! See how easy that is? 10 easy steps, what more can you ask for? ShopBack definitely made online shopping 10x better. Just always remember though to always stay within the redirected tab until purchase for successful cashback. And also, since it is just a few weeks before it's Christmas again, why not shop for presents and earn at the same time, right? ShopBack got you covered with their gift ideas from P500 to P3,000! Shop and earn here now! 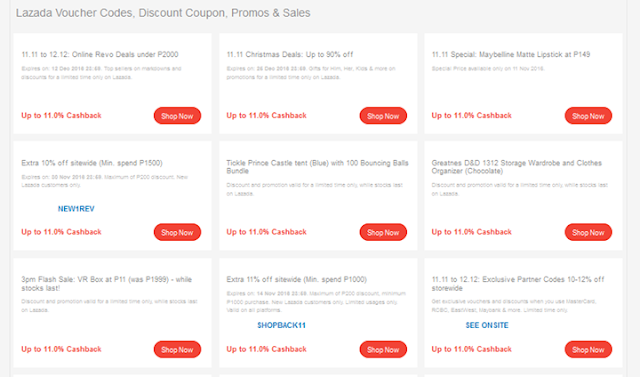 For the complete list of Online Stores or Brands with cashback, click here or go to https://www.shopback.ph/all-stores. Terms and conditions vary per merchant but you may read through ShopBack’s here. Have you used ShopBack? How was it? Share your thoughts through the comment section below!